Tarazod Films & Media LLC: Mad City Chickens DVD - Price Reduced! 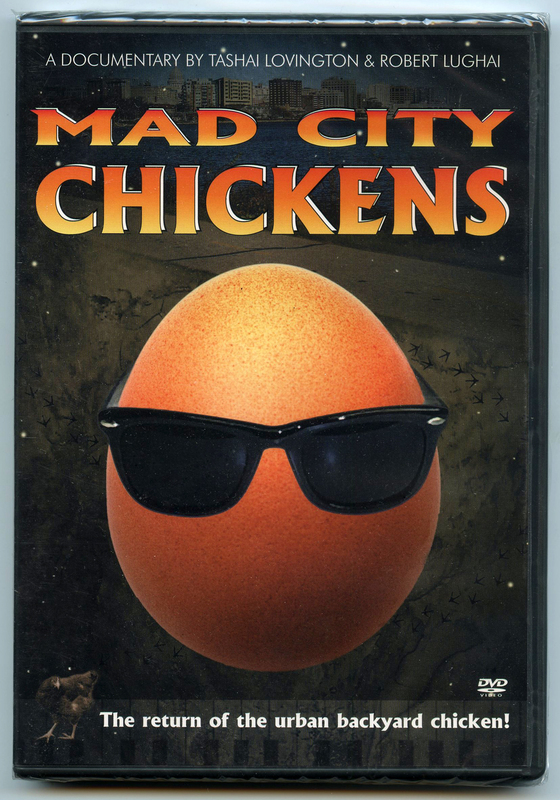 Mad City Chickens DVD - Price Reduced! It's been over seven years since the premiere of our documentary, Mad City Chickens. And for the first time, we have slashed the price of the DVD. Originally $21.95, it's now just $7.00 (+ shipping). Own the movie that helped fuel the urban backyard chicken movement across the US and Canada! Includes 60 minutes of extras. Visit our SHOP page to order your copy. We'll throw in a FREE pin-back button with every DVD purchase (while supplies last). Trailer for "Don Circles the Drain"